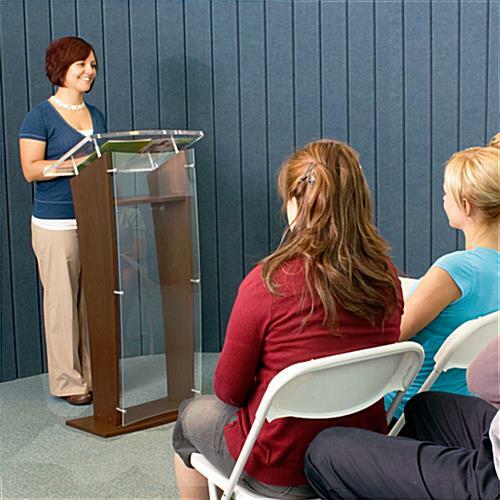 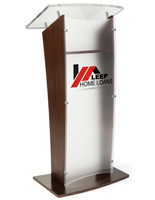 A podium, like a lectern or pulpit, is a great way to draw your audience's attention. 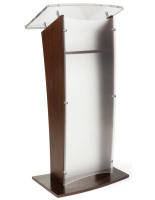 Beautifully finished from wood veneer with an acrylic front panel and silver accents, this podium looks great on any stage or platform. 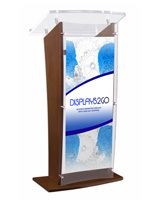 Make presenters feel confident and proud to be standing behind of this podium. 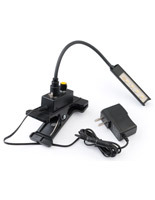 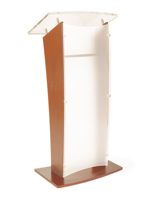 This podium stands at a height of 48-3/4" tall, allowing audience members to easily see the presenter. 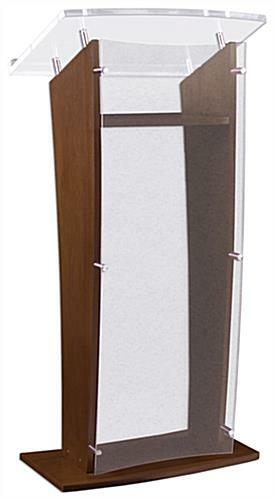 The presence and style of this podium makes it aesthetically pleasing. 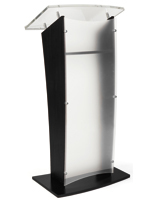 This podium also comes with a spacious, angled reading shelf, providing all the room you need to deliver a successful presentation. 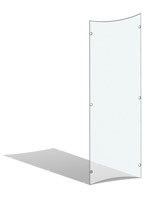 Presenters can place their notes, laptop or other presentation materials they need on the shelf. 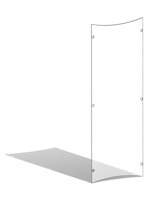 The reading panel is set at an angled position for easier reading. 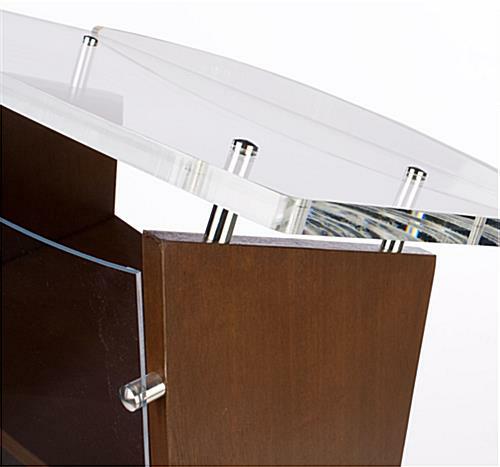 There is also an additional built-in shelf at the bottom for storing other necessary materials. We ship the podium fully assembled, saving you time. 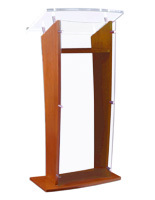 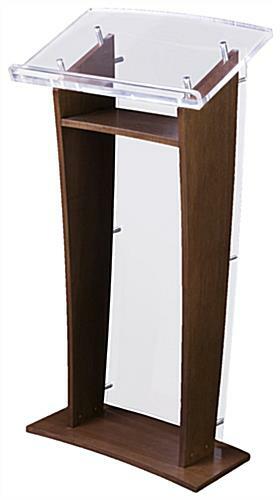 Our lectern, podium has a sophisticated and contemporary design to be used in any setting. 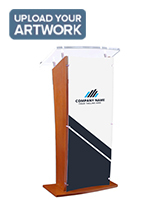 This podium, also known as a lectern, is prefect for conferences, auditoriums, conventions, hotels and churches.